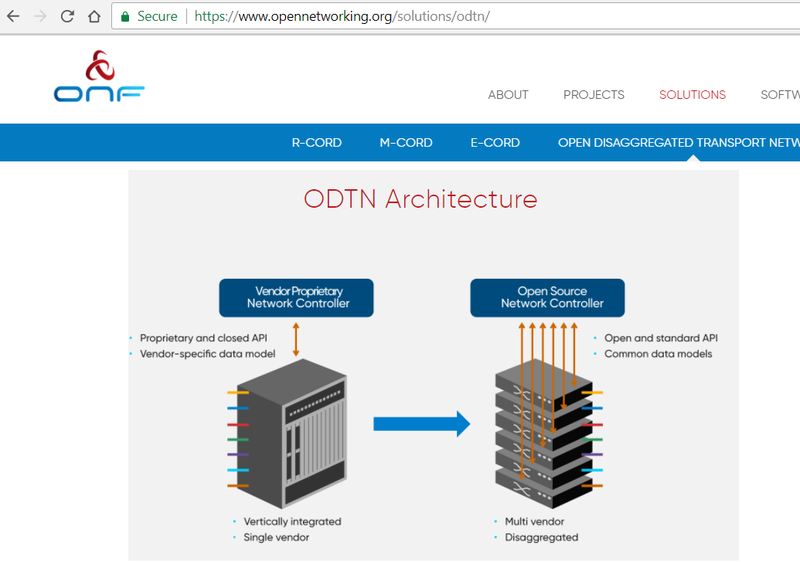 The Open Networking Foundation (ONF) announced a series of reference designs backed by ONF’s operator leadership, which includes AT&T, China Unicom, Comcast, Google, Deutsche Telekom, Telefonica, NTT Group, and Turk Telekom. The initial set of open source Reference Designs, which target edge and access clouds infrastructure, essentially are “blueprints” for how to put common modular components together to create platforms based on open source. They leverage the ONF's prior work with CORD and M-CORD. Another way to think of the reference designs is as "swim lanes" for assembling open source platforms for both the cloud data center infrastructure and the underlying optical transport network. It is also interesting to note Google's presence in ONF's operator leadership ranks. In April, Google announced plans to use P4Runtime as the foundation for its next generation of data centers and wide area network control-plane programming. P4 is a programming language was designed to be target-independent (i.e. a program written in P4 could be compiled, without modification, to run on a variety of targets, such as ASICs, FPGAs, CPUs, NPUs, and GPUs), and protocol-independent (i.e. a P4 program can describe existing standard protocols, or be used to specify innovative, new, customized forwarding behaviors). 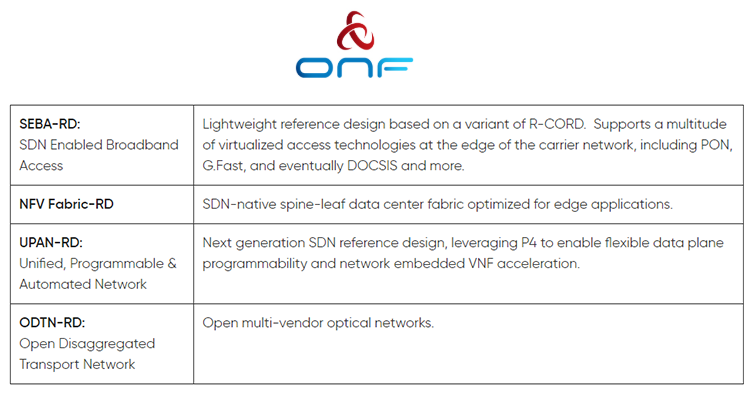 The ONF's reference design for a Unified, Programmable & Automated Network (UPAN) will use P4 as its enabling technology. If other telcos adopt the UPAN reference design, Google will be well-positioned to offer them a wholesale service running in its cloud. 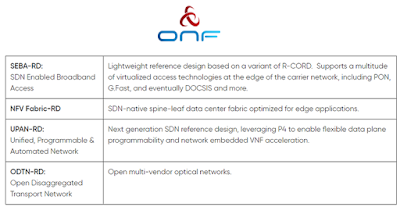 In addition, ADTRAN, Dell/EMC, Edgecore Networks and Juniper Networks have joined the ONF as supply chain partners in this reference design process.